Biominas Brasil offers solutions to all development stages of a business in the life sciences sector. The company has in its core business initiatives aimed at entrepreneurship and innovation, from the acceleration of ideas to business expansion. It is also a reference in consulting services (project management, elaboration of reports and guides) and in the relationship with national and international life sciences ecosystem (production of high level events, such as the BIO Latin America Conference).  These are, therefore, the three business areas of Biominas Brasil: Entrepreneurship & Innovation, Consultancy and Business Relations. Biominas Brasil was founded in 1990 through the initiative of a group of companies, with the intention of developing the life sciences sector in the State of Minas Gerais. Originally with this purpose, working to stimulate the creation of new companies and supporting the existing ones, the institution expanded its field of expertise and geographic scope along the years. Currently, Biominas Brasil has a large portfolio of services and clients scattered around the country and abroad. With specialized professionals and solutions developed according to client’s specifications, Biominas Brasil is the perfect partner for development of business with focus on life sciences. The institution stands out in view of its exclusive focus, expertise and large network of domestic and foreign companies, in addition to professionals that provide specialized technical knowledge and market vision. Biominas releases its 1st sectorial study: "National Park of Biotechnology"
Habitat is awarded National Award for Innovative Entrepreneurship, category "Best Business Incubator Oriented for Local and Sector Development"
BioStartup Lab is awarded National Award for Innovative Entrepreneurship, category "Project to Promote the Culture of Innovative Entrepreneurship"
Ph.D. in Immunology. Senior researcher and leader of the Laboratory of Cellular and Molecular Immunology of the Research Center René Rachou / MG. Member of the Brazilian Academy of Sciences and The World Academy of Sciences (TWAS). Has years of experience as CEO, Chairman or member of Board of Directors. Managing Director of Fir Capital Partners, Chairman of the Administration Board BIOMM and member of the Fundação Dom Cabral Board. Professor, Coordinator of the Innovation and Entrepreneurship Center at Fundação Dom Cabral. Author and co-author of several publications in Brazil and abroad. CEO of FIR Capital and Professor at Fundação Dom Cabral in programs for preparation of companies and executives in the internationalization process. Managing partner of Melo Campos Advogados, President of the Brazil Australia Official Chamber of Commerce, Director of FUMSOFT and IMMC. Mentor at Endeavor, MGTI and Techmall. Expert in external audit, business management and cost management. Has extensive experience in national and multinational companies in positions of management and leadership. Partner at Melo Campos Advogados Associados, working in the areas of Administrative Law and Tax Law. Has experience in legal advice to companies and institutions in the IT and biotechnology areas. President & CEO since 2003. Has over 25 years of experience in identifying and analyzing opportunities as well as in structuring and managing businesses and projects aimed at promoting the Life Sciences sector. Has more than 7 years of experience in public, institutional and international relations, with an emphasis on business development, events production and marketing. With a background in Business Administration, he has more than 25 years of experience in auditing, corporate finance and consulting services. Undergraduate Biology student, with experience in academic research and extension programs. Works in the area of strategic consulting, with mapping, screening and analysis of innovative technologies and projects. Has more than 12 years of experience in innovative technology-based companies with venture capital investments. Studying the last year of International Relations. Experience in consulting projects and sales. Acting recently in the are area of business relationship. Biologist, Msc in Genetics at UFMG, with experience in research and community reach. Worked in the fields of synthetic biology, embryology, genetics and immunology, and founded a biotech startup. Has more than 6 years of experience in project management, communication and marketing, with emphasis on social media management, organization and coordination of business events. Specialist in Project Management, and works with design, implementation and financial accountability. Industrial Engineer, passionate by innovation and technology. Have already played the role of being a entrepreneur, founding a startup, also mentored in programs such as Startup Weekend, Impulso incubator, Lemonade and Techmall accelerator, always focusing in management, business modelling, communication and sales. Currently attending the last year of Internation Relations. Has experiences in projects, partners relations, and customer support. Public Relations specialized in communication & digital marketing with experiences in events organizations and entrepreneurship-fostering programs. Professional of the entrepreneurship area, with 10 years of experience in the management of social projects and innovation. Experience in business consulting, project management and human resources. Has worked in the areas of innovation management and business incubation. Biologist and PhD in Microbiology. She has worked as a professor and researcher in institutes and universities, with experience in the development and management of technology-based startups. Publicist focused on creating pieces and campaigns acting as designer and social media. He has experience in graphic design, illustration and photography. Has experience on teamwork coordination, and on the conduction of business licensing processes from regulatory agencies, as VISA and ANVISA. Has 5 years of experience with the financial and supplies area, and projects follow-up. Working in business relation at Biominas Brasil Has already worked as junior researcher with Sustainability and Stakeholder management in the third sector at Fundação Dom Cabral, and Brazilian public health services at CEDEPLAR – UFMG. Who are the agents and structuring factors necessary for the development of an ideal environment for innovation in Life Sciences and Biotechnology in the country? To answer this question, Biominas Brasil has listed support organizations, government, science and technology institutions, companies and investors, totalizing 14 players. With the intention of illustrating the interdependence between them, we decided for a graphic representation, the Bioinnovation Hive.